Sleek brushed brass finished divot tool. 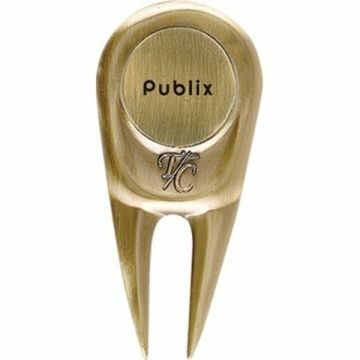 Innovative side-load design for ball marker. I will be using these for my eagle scout project. I can't wait.. Precisely what I needed. Will most definitely order again. Our departments had purchased them before, we were extremely satified, that's why I purchased them again. I highly recommend AnyPromo whenever anyone I know needs promotional items. Final product looked great! A great quality product at a terrific price! Shipping and customer service were stellar too!